STORY NO. 1 For most of the last two weeks, Xi Jinping, the man tapped to become China’s new Communist Party leader, was totally out of sight. That’s right. The man designated to become China’s next leader — in October or early November — had disappeared and only resurfaced on Saturday in two photos taken while he was visiting an agricultural college. They were posted online by the official Xinhua news agency. With the Chinese government refusing to comment on his whereabouts or explain his absence, rumors here were flying. Had he fallen ill? Was there infighting in the Communist Party? I have a theory: Xi started to realize how hard the job of running China will be in the next decade and was hiding under his bed. Who could blame him? Chinese officials take great pride in how they have used the last 30 years to educate hundreds of millions of their people, men and women, and bring them out of poverty. Yet, among my Chinese interlocutors, I find a growing feeling that what’s worked for China for the past 30 years — a huge Communist Party-led mobilization of cheap labor, capital and resources — will not work much longer. There is a lot of hope that Xi will bring long-delayed economic and political reforms needed to make China a real knowledge economy, but there is no consensus on what those reforms should be and there are a lot more voices in the conversation. Whatever top-down monopoly of the conversation the Communist Party had is evaporating. 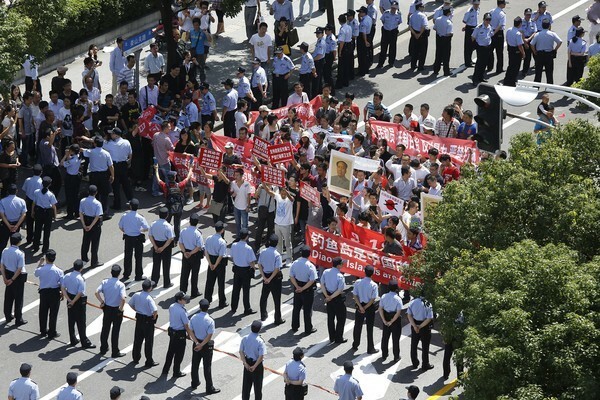 More and more, the Chinese people, from microbloggers to peasants to students, are demanding that their voices be heard — and officials clearly feel the need to respond. China is now a strange hybrid — an autocracy with 400 million bloggers, who are censored, feared and listened to all at the same time.